I've never had this happen in Titanfall 2 and I've played since Tech Test/Launch. Battlefield doesn't even do this. Half of my enemies are playing Tone. Half of my teammates are playing Tone. So either rename the game to Tonefall 2 or nerf it already. Monarch's overcore ability grants two smokes when activating a core instead of one. Turbo engine does not grant a smoke from using a core. One way or another, this needs to he corrected. Maybe because he likes the game? Or, how about this for one of my reasons behind buying the Prime chassis, maybe we want to convince EA that cosmetic DLC is the better way to do things instead of overpriced Season Pass bull? Every game has spam in it, just adapt and overcome. I see Titan Brawl and LTS matches full of Monarchs. Does it make me feel like no longer supporting the game? No, it just makes me pick Northstar so I can pick em all off. And I dunno what you're on about in terms of matchmaking... maybe XBOne and PC are bad, but on PS4 I'm able to find games quickly and it's rare i get a game full of mouse & keyboard adapter using tryhards so... maybe the issue is with your platform or internet. Just to be 100% clear, there is no Enemy Pilot riding the Titan when I do this. I am checking for that before I move in. 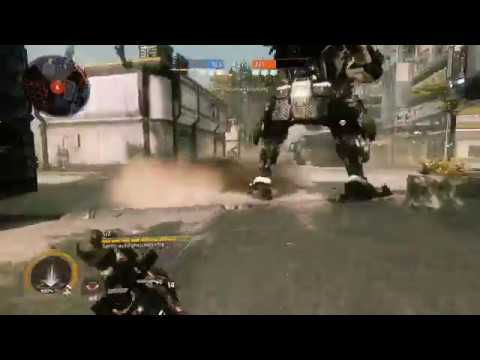 And, it seems like this happens most often with the Monarch Titans now. Lastly, I have noticed that when I got to jump into my own titan, about 30% of the time it says "Press X to Rodeo". What is up with that? Edit: Xbox One, any Server, in game ping time can be 40 ms or 200 ms makes zero difference. Frustrating. The kill spree challenge (kill 3 pilots in a row without dying) appears to be broken. I killed 2 pilots (WITHOUT DYING) and then called in my titan and got in. I doomed a titan with pilot in it then executed it. I know the pilot was inside when the execution happened. I checked if I had gotten the "good performance" but it showed that I hadn't. For the rest of the game I completed this challenge again multiple times but it still did not show up. It should say kill 3 pilots as a pilot. You broke the chain by getting in your Titan. My main screen says new dlc available Monarch's reign but I can't find it anywhere. PLEASE, ever since your most recent update, TONE HAS BEEN GLITCHING a lot. I have on video at least 3 occasions where my core just dissappeared into thin air, right in front of my titan and the enemy titan. I can provide these videos as proof. Please solve this problem, it is soo annoying. And I am not the only one. it happened to a friend too. Another issue I have is with melee: both titan and pilot melee. Titan melee has become very messed up...on countless occasions , I melee a doomed titan for an execution but it fails....the most annoying of all, is when the melee rather pushes the enemy titan further away making it difficult to eliminate him. With pilot melee, it is soo messed up and I know I am not the only one who has been saying this....I mean, when I punch from a long distance, it kindfa unnatural hits the enemy when he isn't in range. Please, how do I attach the videos? Folks - let's keep this to issues with the game. If you want to post up commentary about it, use the General Discussions forum, please. I've been singing Respawn's praises from the beginning and support your format as much as possible (including buying DLC I don't really want/need to acknowledge your great game). I can forgive Monarch changing the balance of the game to a grunt harvesting contest because you were trying to do something new. All I ask is that you please, please, PLEASE just give us Skirmish. Why in the world remove that when it's the only game mode featuring traditional gameplay that reflects Deathmatch rules? I love this game. I really want to keep playing it. I'm speaking for a lot of friends who also play and support as much as possible. Just please give us Skirmish. i agree. at first i was mad that Microsoft stole my 80.00$ pre order now after a year of **** updates that fix nothing and break everything and ridiculous excuses im **** off that i even had thought about purchasing it for that much. i feel ripped off for buying at 60.00$. respawn your first mistake was partnering with EA they dont care about there players for them its all about money ( and im starting to think you guys are the same way ) your second mistake was spending 60% of the budget on the campaign when the replay value is obviously in the multiplayer with this game. i mean come on bungie puts out almost the same amount of content or more and its usually 90% bug/glitch free. -energy siphon will sometimes simply not work, it will show the animation, and the hit marker, but not effect the enemy or give you shields. -missile racks causing infinite animation. only happened to me once, but I used my first core and immediately used the upgraded missiles, which proceeded to fire an infinite amount of missiles (which did not register against enemy titans or players). only way I could stop it was by ejecting. -executions through shield. not sure if this was intentional, but monarch is able to be executed while in doomed state even while shielded by energy siphon. increase speed of missiles slightly. titan kit 3 - bomb fall: increases titan call in time to 8 seconds, warning marker appears after 3 seconds, titan deals massive area damage upon landing. no dome shield. core upgrade 1 - enhanced optics: XO-16 zooms in more and and is much more precise while zoomed. less recoil overall. core upgrade 2 - suppression field: creates an additional shield around monarch (not effected by siphon or batteries) that absorbs 2500 damage. core upgrade 3 - energy overload: siphon no longer grants shield (except to friendly titans if using energy transfer), deals more damage, and deals heavy damage tone's particle wall and legions gun shield. executions through shield. not sure if this was intentional, but monarch is able to be executed while in doomed state even while shielded by energy siphon. That is an intentional change that was made in the last update. All titans can get executed when they're doomed regardless of if they have shields or not. The progression unlocks seem to be out of sync. For example, I'm currently G18.41 and the summary page after a multiplayer match shows "Next Unlock" as the Archer alongside "Next" being 18.42. But when I go to Customize and edit my pilot loadout, the Archer is locked with the messge "Unlocks at Level 43" which is one level higher than I actually need to be to unlock the Archer. This same issue affects all unlocks from what I can tell. EDIT: I have never used credits to purchase any loadout gear. Yea, it doesn't check for if you have it purchased before it says next unlock. Monarch is a really bad addition to the game in my opinion. I keep seeing you players just hiding in the back of the map waiting for their pretty much unlimited batteries. They should change this soon. Ps bring back the real triple threat..
Map/Mode if applicable: Higher TTK version of Attrition (only started happening since introduction of Higher TTK). Since introduction of Higher TTK game mode Monarch doesn't always fire it's full compliment of missiles shortly after using energy syphon beam. Instead it seems to fire just a couple of missiles. Can you reproduce the issue? : Yes, it happens pretty much in every match but not all the time within that match. I haven't noticed any specific trigger, but I've only seen it happen when missiles are fired immediately after using energy syphon. I'd just like to retract my bug report above. Embarrassingly I'd gotton into the habit of hitting the Rearm & Reload key immediately after firing my missile volley, which causes the missile volley to cancel halfway through the firing process, so it's not a bug, just user error! I now let all my missiles fire before pressing the Rearm & Reload key & all is good now!